Work is underway on the Southwest Corridor Light Rail Project that could add light rail between Downtown Portland, Tigard and Tualatin. The University of Oregon’s Sustainable City Year Program (SCYP) has announced its partnership with TriMet, the Portland region’s major transit agency, for the 2017-2018 academic year. Starting in September 2017, TriMet and the University will begin coordinating on dozens of multidisciplinary projects that will focus on the Southwest Corridor Light Rail Project (SWC). The project aims to bring transit, bicycle, roadway and pedestrian improvements to communities in southwest Portland and southeast Washington County. Several SWC project partners will participate in the SCYP year, including Metro, Washington County, Oregon Department of transportation, and the Cities of Portland, Tigard, and Tualatin. Students will explore concepts related to urban mobility, climate change, environmental habitat and restoration, urban design and placemaking, and public outreach. The partner agencies have proposed projects that investigate policies for autonomous vehicles, creation of a renewable energy districts, redefining regional transit projects as habitat corridors, and public outreach for conceptual design support within communities. Now in its eighth year, the Sustainable City Year Program seeks to apply students’ innovation, ingenuity, and fresh perspectives, to local governments and agencies seeking a transition to a more sustainable future. The model, now being implemented in 27 universities across the country, typically links the students from the University of Oregon with an Oregon city, county, special district, or partnership of governments for an entire academic year. 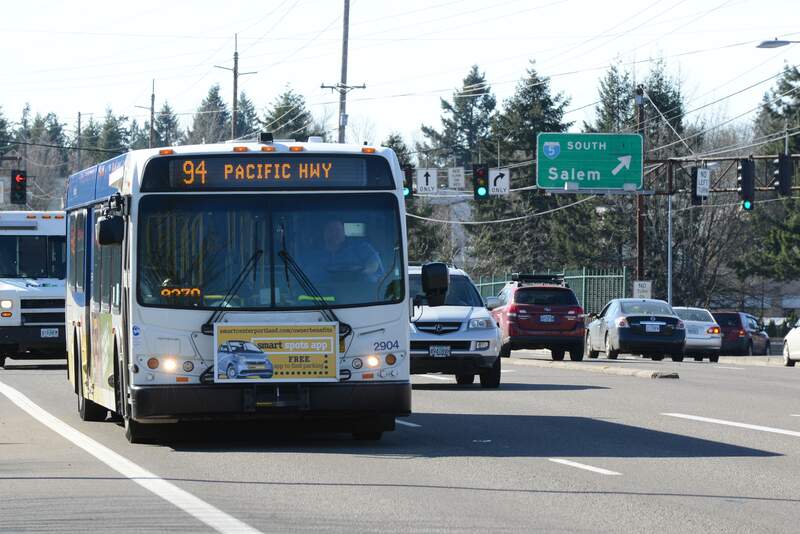 This will be the first year that the UO is partnering with a transit agency. In a typical SCYP year, more than 500 students across 12 disciplines work on dozens of partner-directed projects. By the end of the partnership, student will have devoted over 40,000 hours to helping TriMet realize its sustainability goals. The proposed 12-mile transit line between Downtown Portland, Tigard, and Tualatin will provide faster, more frequent service to a growing corridor. The project will improve connections to key destinations, including Portland State University, OHSU, Portland Community College Sylvania, the Tigard Triangle, Kruse Way and Tualatin. A fast growing corridor with more than 10 percent of the region’s population. The area is expected to grow by over 70,000 residents and 60,000 jobs by 2035. With congestion expected to double in the next 20 years, it’s the last major corridor in the region without high-capacity rail service. Roads, sidewalks and bikeways will also be constructed or improved along the project alignment. Cost is estimated at $2.4 billion with 50 percent of the funding coming from the Federal government. Find out more about the SW Corridor Project.